News broke on Wednesday that Mana Party leader Hone Harawira had erected hoardings for the election which displayed the crest of the House of Representatives. This led to questions about how the hoardings had ben funded – had taxpayers’ money been used? When we questioned if taxpayers’ money had ben used by the MP, Mr Harawira aggressively claimed that funding for the hoardings had not come from Parliamentary Service. So why do they all contain the crest? It’s a symbol that generally denotes that taxpayers’ money has been used to purchase advertising or other goods and services. We have written to the Speaker in order to gain some clarification on this matter. the House of Representatives crest should not be used on materials that contain electioneering. Which rule has been broken? And what repercussions, if any, are likely to follow? We’re looking forward to the Speaker’s ruling and response. This morning's Dominion Post covers the double dipping of New Zealand First MP Tracey Martin, who until October was on the Rodney Local Board. NZ First MP Tracey Martin was paid more than $70,000 as a local council board member - on top of her almost $150,000-a-year MP's salary. Martin, who entered Parliament on the party list in November 2011, was a member of the Rodney local board until elections in October last year. Auckland Council confirmed yesterday she was paid a local board salary during this time. She also received a ratepayer-funded cellphone, a council spokesman confirmed. Parliamentary Service supplies MPs with a smartphone. Martin was also entitled to a mileage allowance for any travel undertaken on behalf of the board. MPs are not barred from collecting the salary as long as they declare it in the Registry of Pecuniary Interests - which she did last year. Outgoing Labour MP Ross Robertson was elected deputy chairman of the Otara-Papatoetoe local board last year, and said yesterday he planned to donate his $39,000 salary to a local school. Martin says she makes donations to charity and community projects but refused to specify how much. "Don't know - never added up all the things I paid for around the community. I guess I could but I would need more time to go through my records." She said she helps fund a Women's Refuge project and local art projects. The hours serving the local board were "extensive" with many held on weekends. Martin confirmed she accepted the phones. "One for parliamentary work, one for council work, and a third phone for personal business," she said. A council spokesman confirmed Martin was paid between 2011 and 2013. The annual salary was between $34,000 and $35,000. "There is no defined number of hours that members are required to work. Elected members receive a salary for their role, governed independently by the Remuneration Authority. The Remuneration Authority considers that Local Board members are not fulltime." Being an MP is a well paid and full time job. Ms Martin should pay Auckland ratepayers back for the double dipping. What an outrageous sense of entitlement to be accepting payment from ratepayers while sitting in Wellington as an MP. Winston Peters should be demanding the money is paid back to Auckland ratepayers, and paid back now. 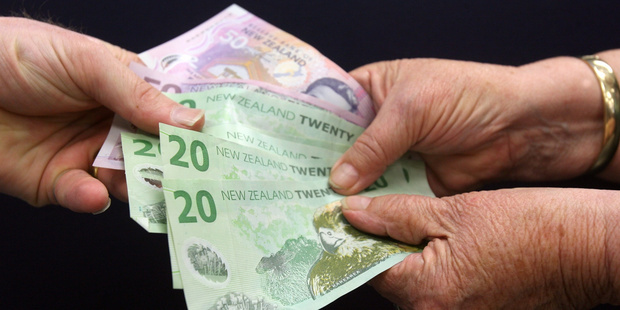 This morning the New Zealand Herald covered figures released by the Taxpayers' Union show that MPs are chewing through more than $65,000 per month on payouts to avoid messy employment grievances. Parliamentary Service spent nearly $400,000 on payouts for former staff in the second half of last year, a period in which the agency was mired in controversy. Figures released by the Speaker showed that since June, 20 former employees had received a severance payment. On average, former staff received nearly $20,000 each. Parliamentary Service employed around 650 people including assistants and advisers for MPs in Wellington and regional offices, and also staff within the parliamentary precinct such as security guards. Eleven of the people who received severance packages had worked for MPs. Parliamentary Service group manager shared services Anne Smith said the number and amount of payments was higher than usual because the agency was being restructured and because of a high turnover of MPs in the second half of the year. She said the costs would be offset by the improvements made in the restructuring. Labour Party MP Grant Robertson said that the payments reflected a turbulent period for the agency. "It would be fair to say that morale has been pretty low in the Parliamentary Service and obviously from the point of view of MPs we don't want to see that carry on." General manager Geoff Thorn resigned in August after it was revealed that Parliamentary Service had passed on emails between Fairfax reporter Andrea Vance and United Future leader Peter Dunne to an inquiry investigating the leak of a sensitive report. Taxpayers' Union spokesman Jordan Williams criticised the costly use of public money to pay out former staff. He claimed that Parliamentary Service was "buying the silence" of workers who had been sacked on the spot by MPs. A clause in parliamentary staff contracts allowed instant dismissal of staff in cases of "irreconcilable differences". Mr Williams said he knew of two dismissals in which a minor party leader refused to hear their employee's response to allegations made by other colleagues. Parliamentary Service would not confirm how many of the payments related to the irreconcilable differences clause, but said the agency followed strict processes in dealing with employment disputes. The payments usually covered three months' wages and any outstanding leave or other entitlements. The figures released did not include ministerial staff. MP support staff: Eleven payments totalling $122,935. Other staff: Nine payments totalling $273,006. The two instant dismissals referred to in the Herald story, were due to a minor party leader being unwilling to hear his employee’s response to a minor allegation made by a colleague. The former employees were offered confidential payouts from Parliamentary Service well above what the individuals were advised they would likely be awarded in court. While every other New Zealander must follow the letter of employment law, information released to the Taxpayers' Union suggests that MPs are often ignoring it and having taxpayers fund the resulting payouts. It appears that parliamentary officials offer generous settlements to avoid cases going to the Employment Relations Authority. We think that protecting MPs with such a practise affords them a privilege that only invites further abuse. To date Ministerial Services has refused to provide the equivalent information for ministerial staff. The Taxpayers' Union currently has a complaint regarding that decision before the Ombudsman.